For thirty years, a secret agency called the Southern Reach has monitored expeditions into Area X—a remote and lush terrain mysteriously sequestered from civilization. After the twelfth expedition, the Southern Reach is in disarray, and John Rodriguez (a.k.a. “Control”) is the team’s newly appointed head. From a series of interrogations, a cache of hidden notes, and more than two hundred hours of profoundly troubling video footage, the secrets of Area X begin to reveal themselves—and what they expose pushes Control to confront disturbing truths about both himself and the agency he’s promised to serve. The first eight hours of the book are spent on establishing setting. I didn't find the character of Control to be particularly exciting as an individual, like I did find the Biologist in "Annihilation," Control's commentary on the other characters pulled the plot along and ended up making the book impossible to stop listening to. The final two hours of the narration exploded in creepy action, and I was so grateful for having such a well-developed foundation from which to leap into the insanity of the climax. Bronson Pinchot's employment of different voices for each character, and dramatic and pensive pauses in Control's monologue, add to the engaging nature of the text. 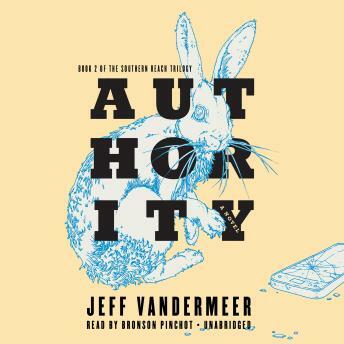 After finishing Authority, I felt on edge for two days from the powerful atmosphere created by Pinchot and VanderMeer. I am looking forward to reading Acceptance!